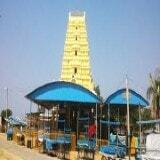 Adoni is a city in the Kurnool locale in the Indian province of Andhra Pradesh. It is a region and the central command of Adoni Mandal, regulated under the Adoni Revenue Division. As of 2011 registration of India, Adoni had a populace of 166,537, making it the sixteenth most crowded city in the state. It had an urban agglomeration populace of 184,771.